I picked this: 86 Honda Shadow 500 up for $1000! It runs great, I've put about 250 miles on it since buying it. I've upgraded the windscreen to this: http://www.memphisshades.com/universal-mount/malibu in the Solar tint, helps a lot with highway cruising. I also have a set of these: https://www.leatherup.com/site/product?pid=56037 coming my way. Sure, I could have spent the money on more important things... but the wifey and I missed having something WE could enjoy riding together. My SV650 is set up for track riding, so it's as comfortable as a board. Just thought I'd share. Anybody else buy a new motorcycle recently? Nope. I'm still waiting to get my truck fixed. Long story short, my battery exploded (literally blew the side wall out) on startup and took out my starter and electrical system. Not so expensive ($300 for parts) but time consuming, plus, I can't do it. Nice bike Gunner and a sweet deal. I haven't purchased a new one, but ride pretty much daily. Since my one job involves riding, pretty much a given that I am on a motorcycle at least 3 or 4 days a week. Dude... that blows. Bummer.... hope you get it going soon. Thanks! Me and the guy went back and forth a bit, about two days and finally agreed on 1k. It's got 14,500 or so miles on it... not bad for an '86. I got those saddlebags today, installed them in about 40 minutes. I'd hoped it'd be easier, but... I got 'em on there. They look good, sorta complete the bike. I at one point had three bikes; my SV, ZX636 and a Hyosung GV650. I sold the ZX and GV for the PCS and haven't ridden cruiser in a year... I, and WE missed it too much to not get another. Teach people to ride motorcycles (certified instructor). Been doing it for 19 years, taught over 7,000 students. Fun job, get paid to ride a motorcycle. good looking bike. would love to have this bike that is local. 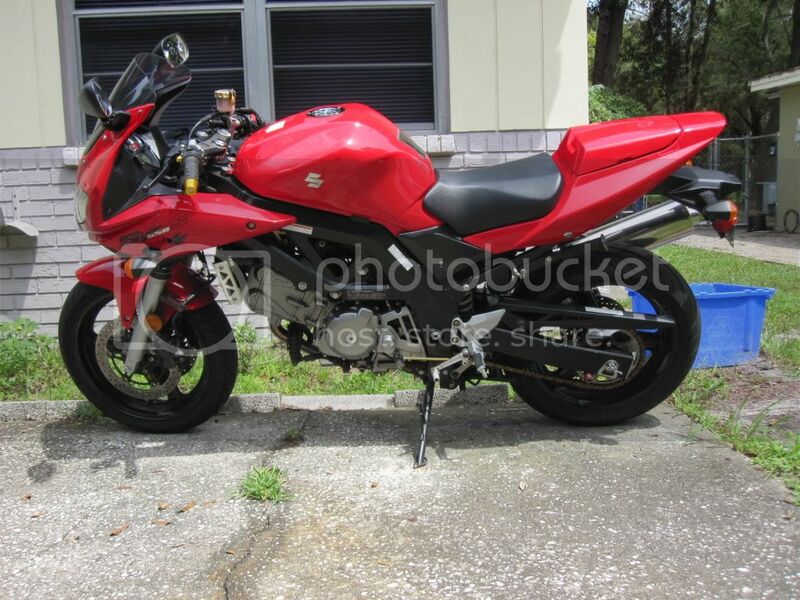 want to get another bike soon. Clean bike, very cool color combo. I like the old CBs, have you seen this: 1976 Honda 360 ?